MCP2515 Module adopts CAN controller MCP2515, and TJA1050 high-speed CAN transceiver. Onboard independent key. Microchip MCP2515 independent CAN protocol controller, support CAN V2.0B regulation. 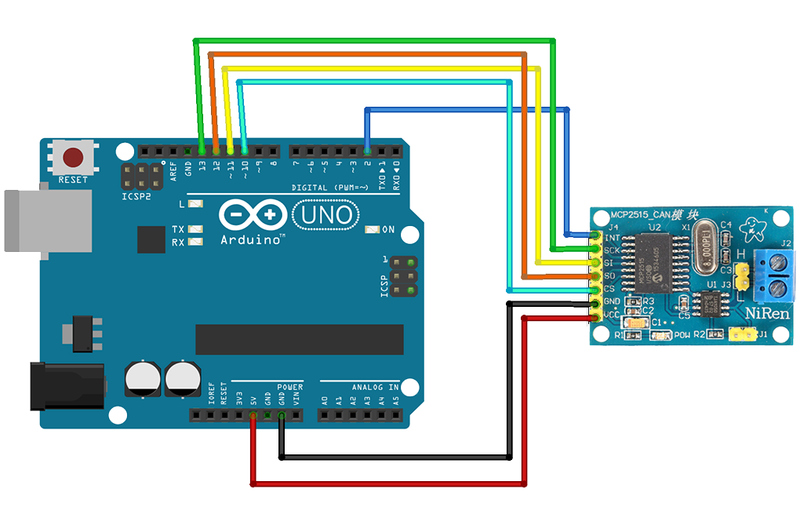 The connection between MCP2515 and MCU is through SPI.